Hydraulic Cylinders Protection Covers face contaminants ranging, the Smart Shield’s cylinder cover protects your constantly exposed hydraulic equipment from damage caused from dust, abrasive grit to metal chips and weld spatter entering the hydraulic system.This easy to install protective cover opens and closes like an accordion as the cylinders work, keeping the hydraulic system clean from debris and extending the life of your cylinders up to 3 times.The main advantages of our covers in your machinery include their flexibility (they are made to your own individual requirements in order to fit your mechanisms perfectly) and their cost-effectiveness A variety of designs are available in any quantity with little or no tooling charge. 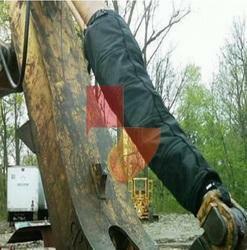 This lets you optimize the type of protection for your application, rather than making do with off-the-shelf components.Available in multiple heat and chemical resistant materials, this protective device is being utilized today in many of the toughest industrial and construction environments including, quarries, mining, steel mills, demolition, and ready mix concrete facilities This smart-shield’s Protector is reducing hydraulics maintenance costs and saving money for companies throughout the world. Protective Bellow face contaminants ranging, the Smart Shield’s Protective Bellow cover protects your constantly exposed hydraulic equipment from damage caused from dust, abrasive grit to metal chips and weld spatter entering the hydraulic system.This easy to install protective bellow cover opens and closes like an accordion as the cylinders work, keeping the hydraulic system clean from debris and extending the life of your cylinders up to 3 times.The main advantages of our covers in your machinery include their flexibility (they are made to your own individual requirements in order to fit your mechanisms perfectly) and their cost-effectiveness A variety of designs are available in any quantity with little or no tooling charge. This lets you optimize the type of protection for your application, rather than making do with off-the-shelf components. Available in multiple heat and chemical resistant materials, this protective device is being utilized today in many of the toughest industrial and construction environments including, quarries, mining, steel mills, demolition, and ready mix concrete facilities This smart-shield’s PROTECTIVE BELLOW is reducing hydraulics maintenance costs and saving money for companies throughout the world. Fire Resistant Bellow face contaminants ranging, the Smart Shield’s Fire Resistant Bellow protects your constantly exposed hydraulic equipment from damage caused from fire, dust, abrasive grit to metal chips and weld spatter entering the hydraulic system.This easy to install protective bellow cover opens and closes like an accordion as the cylinders work, keeping the hydraulic system clean from debris and extending the life of your cylinders up to 3 times.The main advantages of our covers in your machinery include their flexibility (they are made to your own individual requirements in order to fit your mechanisms perfectly) and their cost-effectiveness A variety of designs are available in any quantity with little or no tooling charge. This lets you optimize the type of protection for your application, rather than making do with off-the-shelf components. Available in multiple heat and chemical resistant materials, this protective device is being utilized today in many of the toughest industrial and construction environments including, quarries, mining, steel mills, demolition, and ready mix concrete facilities This smart-shield’s Fire Resistant Bellow is reducing hydraulics maintenance costs and saving money for companies throughout the world. Our objective is to continue building upon SMART-SHIELD’s reputation as a world leader in the ROUND BELLOW and damper markets. Our experienced engineering staff and fabrication facilities enables SMART-SHIELD to meet customer requirements with quality products at the lowest total cost and delivered according to our customer’s schedule. We monitor every phase of our operation - from engineering through shipment - with quality guidelines that strictly adhere to the product specifications and comply with our audited Quality Assurance Program. Our quality assurance plan parallels the ISO 9001 guidelines. All welding processes are qualified per AWS D1.1 and ASME Section IX. 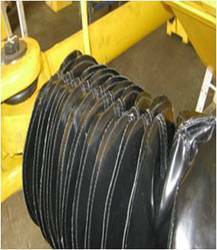 Dust Proof Flexible Bellows face contaminants ranging, the Smart Shield’s Dust Proof Flexible Bellows protects your constantly exposed hydraulic equipment from damage caused from water, fire, dust, abrasive grit to metal chips and weld spatter entering the hydraulic system.This easy to install dust protective bellow cover opens and closes like an accordion as the cylinders work, keeping the hydraulic system clean from debris and extending the life of your cylinders up to 3 times.The main advantages of our covers in your machinery include their flexibility (they are made to your own individual requirements in order to fit your mechanisms perfectly) and their cost-effectiveness A variety of designs are available in any quantity with little or no tooling charge. This lets you optimize the type of protection for your application, rather than making do with off-the-shelf components. Available in multiple heat and chemical resistant materials, this protective device is being utilized today in many of the toughest industrial and construction environments including, quarries, mining, steel mills, demolition, and ready mix concrete facilities This smart-shield’s Dust Proof Flexible Bellows is reducing hydraulics maintenance costs and saving money for companies throughout the world. 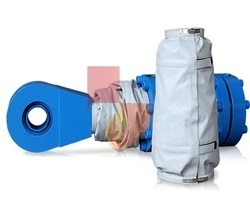 Looking for Protection Covers For Hydraulic Cylinders ?